Attention deficit disorder in adults could actually be a diagnosis that doesn't fit you. Think about the term "attention deficit." It means not paying enough attention...but to what? Usually it means not paying enough attention to what other people think you should be paying attention to. Do you have any trouble paying attention to the things you love? 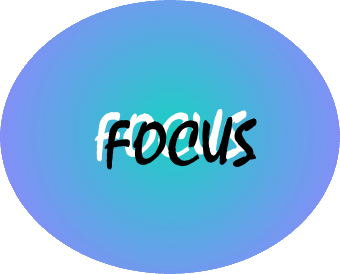 Do you have an attention deficit when you're involved in your passionor something that is exciting to you? Probably not. If you do, then you might just have a real problem. I don't think your problem is that bad. It's possible that you have no ADD symptoms when you're focusing on something you love. All of the symptoms listed for ADD in adults can be a result of several other factors, that are not a function of there being "something wrong with you." Unresolved personal issues such as grief and loss, emotional trauma and child abuse, abandonment and neglect. A chaotic home environment growing up, with lots of unpredictable change, multiple moves and lack of structure. A lack of clear, effective communication and guidance from parents and other caregivers. You never learned mindtools, meditation or other mental disciplines. You are simply not doing what you love. Your heart is not in your work or activities, so you can't get your head in them either. As you can see, these are the kinds of things that can happen to anybody. The problems with the label of attention deficit disorder in adults is that it suggests that there is something wrong with your brain, when in fact your brain is doing exactly what it is supposed to be doing in adapting to circumstances. Here's a thought...attention deficit disorder in adults might just be coming from a restless inner child! Your inner child represents the emotional aspect of you, and it contains all of the residual emotional memory from your past. When you learn to understand, visualize and care for your inner child, you will become more focused, calm and loving--all of which will help you with your do-it-yourself ADD treatment. The relaxation, visualization and affirmation exercise will calm you, which always increases focus and clarity. When you connect with your inner child, you are connecting with your passion. The more you are connected with your passion and act from that place, the better you will focus, concentrate and follow through. The emotional healing that results from nurturing and caring for your inner child will ease your sense of agitation and distractibility, bringing more of a sense of purpose and intention and freedom from the symptoms of attention deficit disorder in adults. When your inner child is calm and relaxed, you are calm and relaxed. When you honor your inner child, it will guide you to the things that really matter in your life. Learn more about adult ADD in this Wikipedia article. 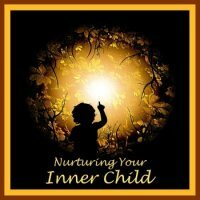 Preview the newly revised Nurturing Your Inner Child audio program now! Your satisfaction is secured with an unconditional money-back guarantee, so you have nothing to lose by purchasing this amazing and powerful healing program now--become your own anger management resource!